New to comics or looking to read up on the Incredible Hulk? Try one of these introductory series or story arcs, recommended by the Marvel Unlimited team! This is the definitive origin of the Hulk! See the beginnings of the Green Goliath retold for a new generation! The shocking birth of the Incredible Hulk! Is he man, monster… or both? Legendary Hulk writer Peter David makes his indelible mark on the character in this decade-long run. Experience some of Hulk’s all-time greatest moments! Read through #467. Witness a dark future ruled with an iron fist. The Maestro, an evil alternate version of the Hulk, now reigns supreme over the Earth! John Byrne brings Banner into America’s heartland. But can the idyllic countryside soothe the savage beast? The Hulk is exiled on a brutal world of tyrants and gladiators! Together with his new allies, Hulk ignites a revolution! Read through #105, or try our Reading List! Hulk returns to Earth, and he’s angrier than ever! Can the world’s heroes prevail against the Hulk, and do they deserve to? Try the event Reading List! It’s the final showdown between these eternal rivals in the Ultimate Universe. Only one can survive! The mysterious Red Hulk explodes onto the scene! Who is the strange new creature, and whose side is he on? Hulk and Banner are separated into two distinct beings! A literal battle of egos may put the fate of the world at stake! Bruce Banner: Agent of S.H.I.E.L.D.! 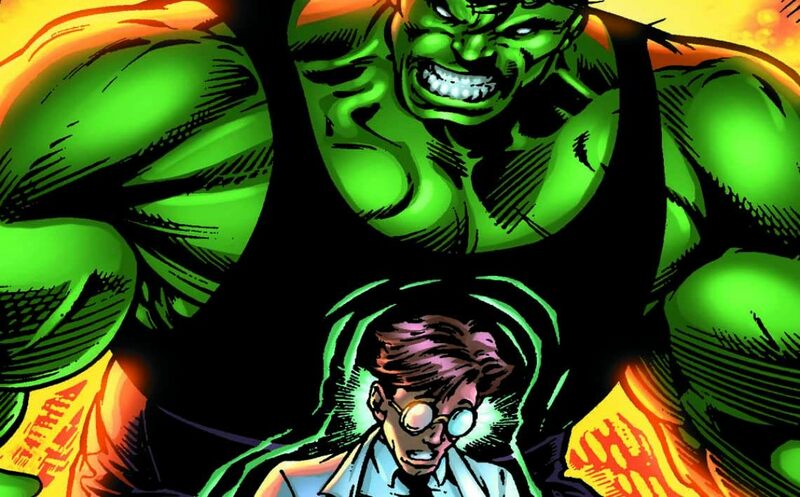 Banner leads a team of scientists in the lab, while the Incredible Hulk takes the lead in the field! Shot in the head by an unknown assailant, Bruce Banner lies at death’s door! It’s up to the Hulk himself to solve the crime and save Banner! There’s a new Hulk in town! Banner’s friend and ally Amadeus Cho takes on the mantle and power of the Jade Giant! This is the end. In order to prevent a deadly rampage, Hawkeye honors Banner’s wishes and puts the Hulk down for good. Or so it seemed! Revived to serve as a pawn in a game of cosmic strategy, the Hulk reunites with his former teammates in the Avengers.